Are you worried about keeping your mane perfectly groomed while on your travels? Worry not, for today we present to you two very convenient and compact styling tools from Diva Professional Styling that will help you create a range of varied looks even while travelling. 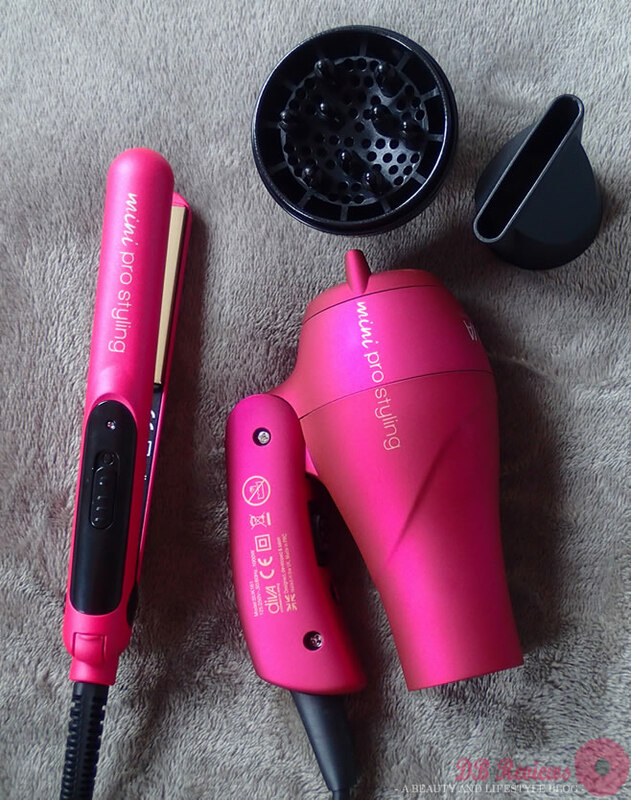 The new ‘Mini Pro Styling’ range from Diva features two very cute and ergonomic tools – the mini styler and the mini dryer. First up is the Mini Hairdryer. It is compact but perfectly formed and has all the features you would expect from a hair dryer. It has 2 heat settings and comes with various attachments – a slim concentrator for precise styling, a narrow barrel for targeted airflow and a mini diffuser for volume & defined curls. The hair dryer also has a removable rear grille to maintain the performance of the tool. The first thing that caught attention(apart from the vibrant orchid colour) was the fact that the hair dryer is so light. It is an absolute pleasure to handle/use and even folds up neatly to fit in the smallest suitcases. 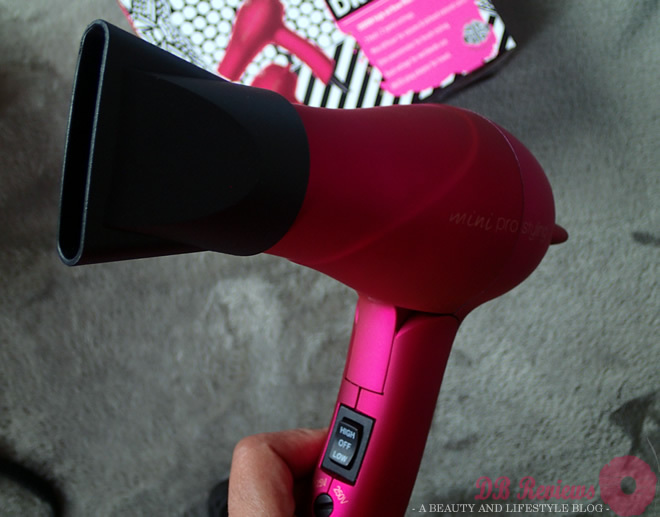 This 1000W high performance hair dryer can be the perfect travel styling tool for anyone. 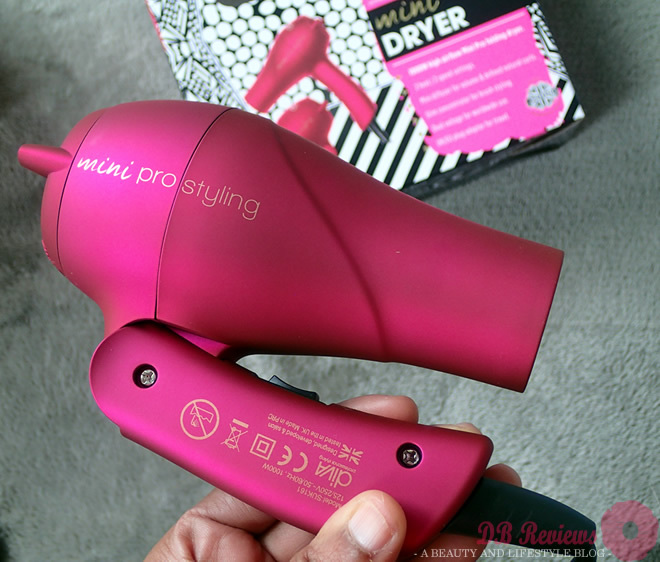 The Mini Pro Styler is as cute and convenient as the hair dryer. The size is perfect to take on holiday and even for daily use if you need to switch up your hair style during the day. With super smooth ceramic plates and a 30 second instant heat up feature, the mini stylers are strong enough for styling hair while being compact enough for travel. There is a travel lock for compact storage. 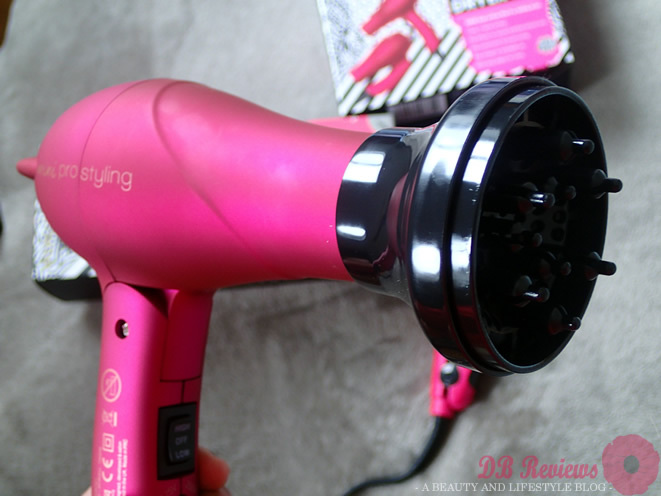 Just like the hair dryer the styler also has a BS/EU plug adaptor and is multi-voltage. 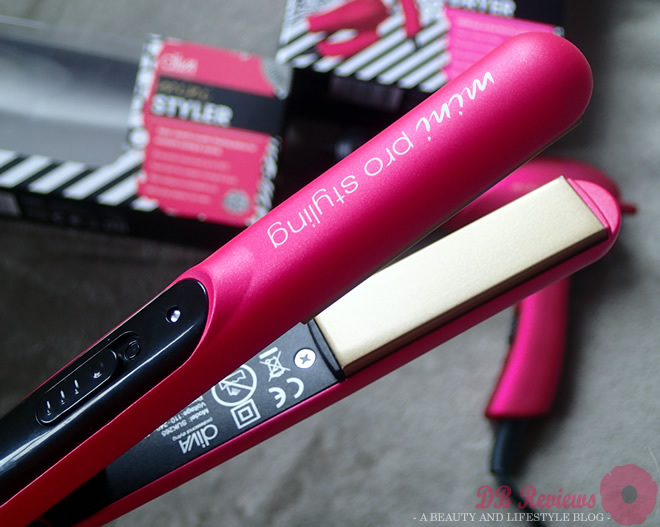 The styler heats up to 210°C and offers excellent styling & control. As with any small, travel styler even this one from Diva is meant for quick touch-ups and styling on the go. If you have very curly hair, it will take time to achieve results with this smaller version of a regular hair straightener. If you are looking for a handbad straightener that offers good results and also is travel friendly, then this one is a good choice. We recommend these for camping trips or festivals. The Mini Pro Styler from Diva is perfect for taming the frizz.